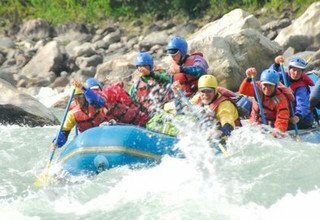 Probably the best combination trip in Nepal; magnificent white water, a beautiful unspoiled valley, combined with one of the most scenic treks in Nepal. The Tamur river and its tributaries drain the snows of Kanchenjunga, the third highest peak in the world. 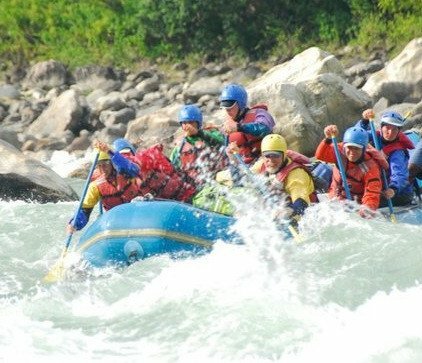 The river is the sixth largest river in Nepal and seems to have a feeling of thrusting power and of being constrained by its valley sides. 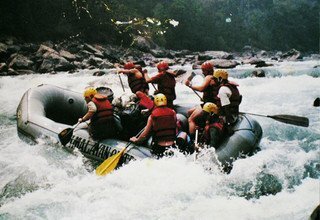 The first commercial run of the Tamur was in 1990 and there have been very few descents since then. 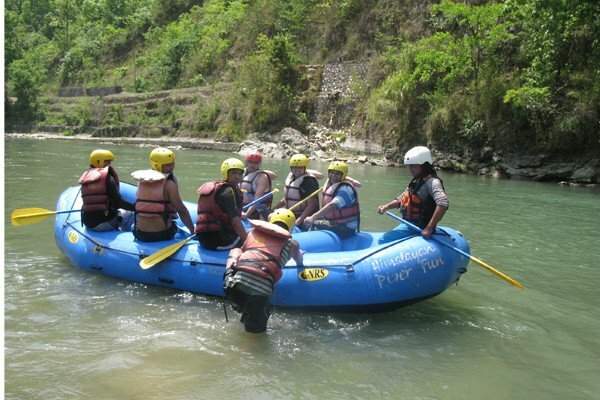 It is an outstandingly beautiful river with superb views of the Himalayan range including Mt. Everest, Mt. Kanchenjunga and Mt. Makalu. 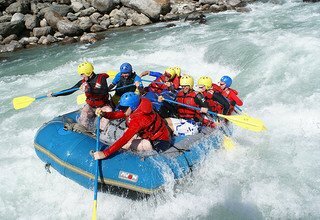 The river trip includes around 120 km descent, through more than 100 of the most exciting rapids still to be named. 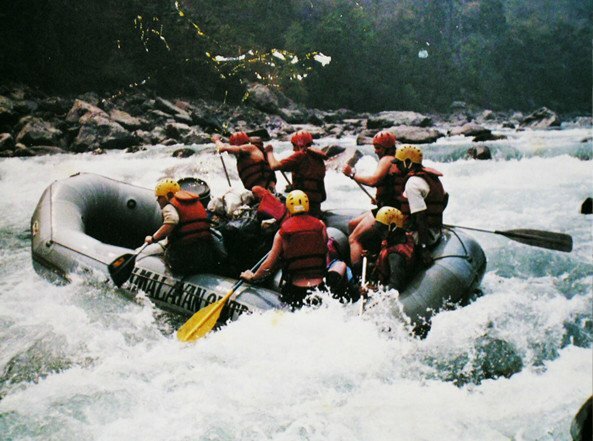 It has to offer grade 3 to 4, with some graded -5, making one of the best white water expedition trip in the world. * Domestic flight ticket from KTM/Biratnagar and airport tax. * 5 night accommodation at tented camp. Customize Your Trip: This is a general itinerary, which can always individually be “tailormade”. 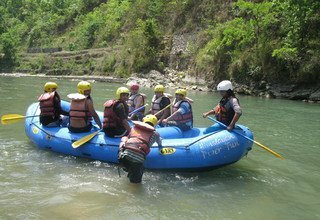 The trek package can be redesigned or redeveloped as per your taste, For more information please e-mail us at snftnepal@yahoo.de.